Today, we celebrate the life and achievements of Dr. Martin Luther King, Jr. We are proud to honor his memory, and everyday, we strive to make his accomplishment come to life in our daily practices. We commit to furthering his dream of ensuring that we take full advantage, not only of the American Dream, but our individual dreams. Dr. King’s legacy not only lives in ceremonial and celebratory services, but it lives in the spirit of endurance and perseverance that we must possess in order for his dream to be fully realized. We must devote to working collaboratively to serve those less fortunate and to serve in all areas of our life. Fifty years after Dr. King gave the “I Have A Dream” speech, we commit ourselves to recognizing that which we can do to further his dream. On this day, we also commemorate the Inauguration of President Barack H. Obama. How proud were we when in November, we learned that President Obama would once again take office. Although we do not profess him to be a perfect man, we do take great honor in claiming him as “our” President. He is our President, not only because he is an African American, but because he stands as the Representative of these great states of America. America is not a perfect country nor have we ever had a perfect leader. However, America is the greatest country in this world and we are the free world; therefore, we consider the leader of the free world as one of the greatest people living in our time. As we stand on Dr. King’s legacy, we stand with the living legacy of President Obama. We celebrate the greatness of both of these men and we stand in awe to take part in the events of this day and give God great praise to be alive during such a time as this. 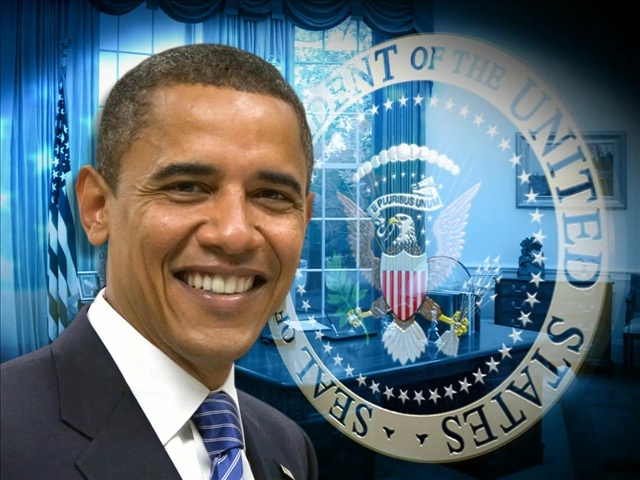 Congratulations to President Barack Obama and First Lady Michelle Obama on four more years! Category : Inauguration 2013, Jr.